Long before it was popular to combine business strategy with design thinking, we launched LOWERCASE to do just that. Co-founded by a Chicago Booth MBA and an internationally recognized design leader and teacher, we specialize in brand and digital strategies that blend analytical with creative, quantitative with qualitative, and artistic vision with implementation. 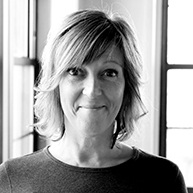 As Business Design Director, Stacy specializes in a customer-centered approach to brand innovation, emphasizing the role of business strategy in design thinking to generate creative new forms of competitive advantage. Stacy blends her affinity for data with an instinct for connecting to the voice of the customer. With roots in strategy, analytics, and technology, she creates brand strategies that transform customer experience and digital strategies shaped by her experience developing apps and coding complex custom sites in multiple programming languages. Stacy has worked at top management consulting firms including the Worldwide Technology Headquarters at Accenture (formerly Andersen Consulting) and sales and marketing strategy consulting firms. She earned an MBA with Honors from the University of Chicago Booth School of Business and a BS in Finance with Highest Honors from the College of Business at the University of Illinois at Urbana-Champaign, where she also received Bronze Tablet University Honors for ranking in the top 1% of university graduates. Tim creates brand and digital strategies and designs systems that connect vision to experiences. He is a versatile strategist and master craftsman, fusing artful originality across forms (digital, physical, environment) to help clients build a competitive advantage. 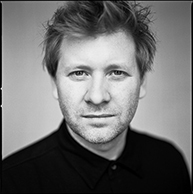 As Creative Director, Tim’s work has been honored by every major national and international design competition and is included in the permanent collections of several museums in Europe and the United States. He is a judge for design competitions and speaks at universities, conferences and events on the value of design-thinking in business. Tim teaches design and typography in the Visual Communications Program at the School of the Art Institute of Chicago (SAIC). He also served for three years as President of AIGA Chicago. Prior to co-founding Lowercase, Tim worked as a designer with top design firms in London, England and VSA Partners in Chicago. Tim studied Graphic Design at the University of Northumbria at Newcastle upon Tyne, England and at the University of Illinois at Urbana-Champaign, where he earned a BFA in Graphic Design and received Bronze Tablet University Honors for ranking in the top 1% of university graduates. Tim is a collector of Intuitive and Outsider Art and serves on the Board of Directors of Intuit: The Center for Intuitive and Outsider Art. He is also an artist, having created a body of sculptural work that recently exhibited at the South Shore Arts Center and at the Grand Rapids Art Museum.